An amazingly stylish and contemporary take on a classic theme, the Indigo Loveseat is another inspired design from this range. 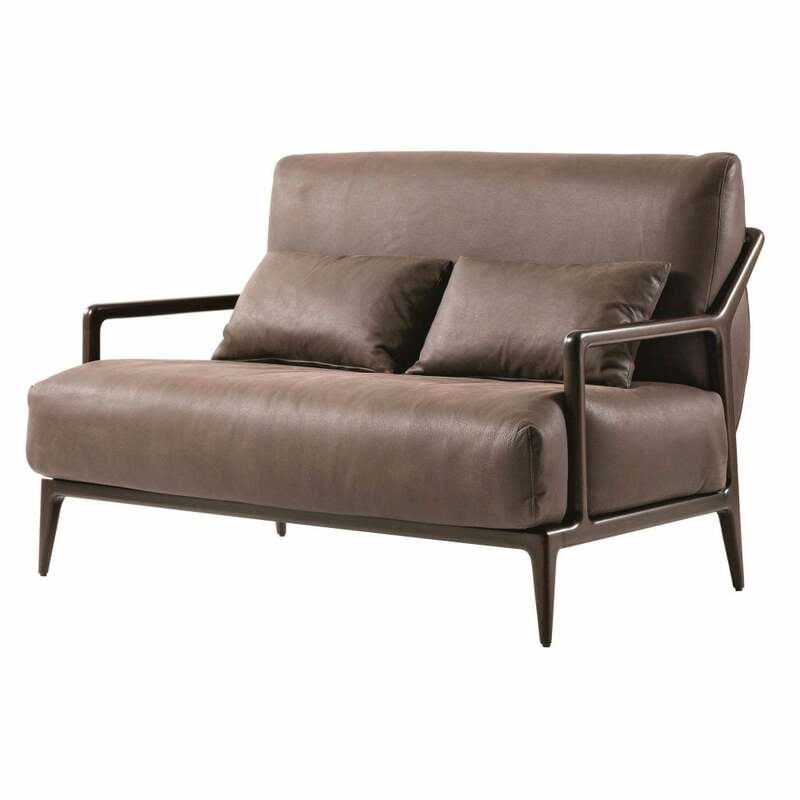 Along side the strong styling this petite sofa is a display of the wonderful Italian craftsmanship of Philipp Selva. The beautifully moulded, smooth, solid rich American walnut frame supports chunky, loose seat cushions sat on a solid beech slatted frame, whilst the backrest has a leather strip and toggle closure in brass. The cushions themselves are made from top-quality, multi-layered polyether foam with the lumbar pillows containing polyether fibre filling. All cushions are removable. This Loveseat draws you in with absolute focus on comfort as well as superior style, a real centre piece.